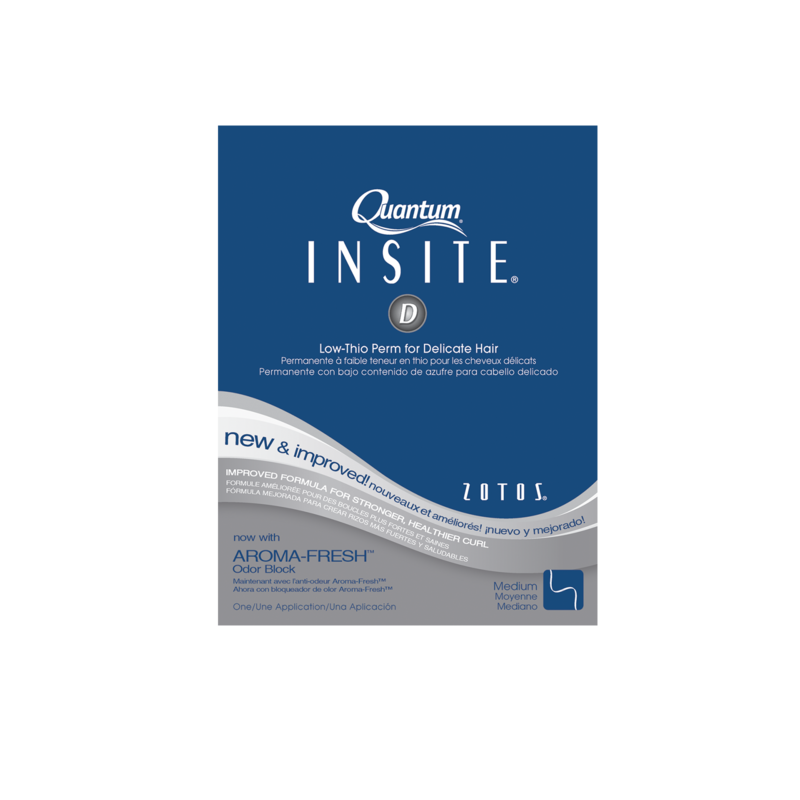 Insite Delicate perm will have dramatically healthier results with Insite's exclusive ammonia-free, low-thio formulation that preserves the integrity of hair’s inner structure. Fortifying formula with equalizing pre-wrap. For stressed, fragile, tinted, permed or highlighted hair. Soft texture and volume. For normal, tinted (30 volume or less), up to 40% highlighted, or previously permed hair. Equalizing Pre-Wrap helps protect delicate hair.